Anyone who has read to a child has noticed the range of emotions that cross the child’s face as he listens raptly to a story. Worldwide, scientific researchers in the field of neuroscience have uncovered irrefutable proof that those who read fiction regularly develop a deeper understanding of others, which leads to the ability to see situations from different points of view – the quality of empathy. Of particular interest is a study conducted in 2010 by Dr. Raymond Mar, a psychologist at York University, using preschool children. He and his colleagues discovered a direct corollary between how much a child is read to and the child’s Theory of Mind. Theory of Mind (ToM) is the ability of an individual to understand his or her own mental states, and to realize that others also have minds with perhaps different beliefs and desires. It is believed that ToM is an innate quality in human beings that generally takes many years of social interaction to develop. Having a keen sense of ToM is an abstract quality, and while children learn more readily with their senses, understand the concrete, and live in the present, reading about other’s thoughts and feelings helps a child to take the leap from the actual to the abstract. We laugh at characters who are silly, but we also feel concern for characters who are sad, lonely, afraid, or hurt. 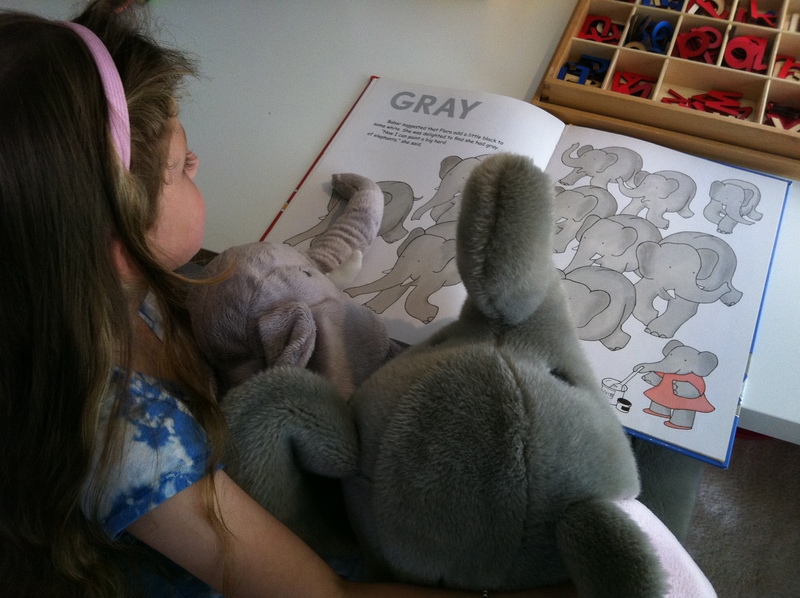 A child, while reading, “practices” these feelings, acquiring an early knowledge of compassion. In a book such as The Rainbow Fish, children are exposed to the idea of sharing versus not sharing. How does it make you feel when you share? When someone shares with you? When someone doesn’t share with you? Books can evoke powerful emotions that children can safely and securely contend with, creating a sensitivity to emotional nuance often missed in the heat of the argument over whose turn it is. Stories help a child to learn that sad feelings can be soothed, that happy feelings can be shared, and that these feelings are universal. We all celebrate, over and over again as we reread, that Harold, wielding only a purple crayon, will figure out all by himself how to get home safely, that the little blue engine will make it up and over the hill, and that wicked witches can be defeated by little girls in sparkly shoes.